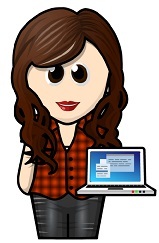 All Genny wants is to live the quiet life and to do her job at Spellcrackers.com but there's her tangled personal life to sort out first. She's being haunted by ghosts who want her help. Her witch neighbours want her evicted. Genny's sort-of-Ex - and now her new boss - can't decide whether he wants their relationship to be business or pleasure now he knows all her darkest secrets. And then there's the queue of vampires all wanting her to paint the town red - how long will it be before they stop taking 'no' for an answer and Genny's life becomes even more complicated? 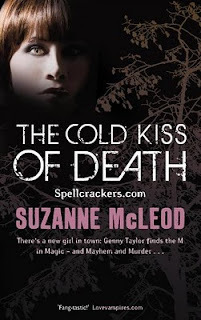 This is the second book in Suzanne McLeod's Spellcrackers series, and I enjoyed it even more than the first. Even though poor Genny goes through a whole lot of hell in this book and gets a bunch of surprises, it's all coming together and I'm getting comfy in her world. Genevieve Taylor is the only Sidhe fae in London. So when she finds the dead body of a baker she happens to know, and it's obvious that sidhe magic is all over him, she becomes the main suspect. Forced to go on the run, she finds herself thrown from one confusing situation to another, never stopping for air. Just when you think she's going to get a breather, she gets entangled in one vampire situation or another, keeps seeing ghosts, can't shake the witches from making trouble for her, meets people that want her help, and finds herself in the middle of a ploy to take over her body. It's not easy being Genny, and the action and trouble never lets up as she's been pursued by creatures more dangerous than the police. The Cold Kiss of Death is a well-written, fast-paced and highly imaginative story set in an alternate and very dangerous version of London. Where it's not safe in the Tube, or wherever trees can speak to each other. Genny's voice takes you on her personal journey in a very intimate way, revealing what's happening at close range, as well as bits and pieces of her past. A past that makes a lot of sense and seems to lead to the vampire, Malik. There are plenty of interesting characters in this world, but I especially like the kelpie, Tavish, and the satyr, Finn. Even if they both have motivations of their own. And the phouka, Grianne will keep you wondering until the very end. These are the faeries that I like to read about -- dark, dangerous, and with hidden intentions. You're welcome! Thanks for popping in. Ah, yes, Tavish... :) I REALLY enjoyed it.